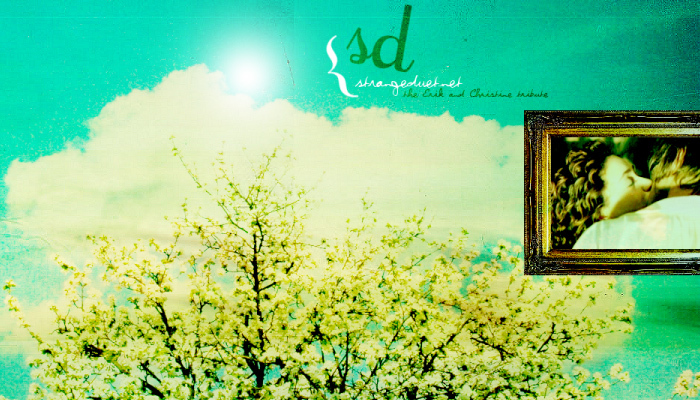 If you want to submit your work to S-D, read the rules and attach it to the email to strangeduet.net[at]gmail.com. 2. Only .jpg, .gif and .png files, please. 4. No NC-17 graphics 5. To submit graphics, attach them to the email to strangeduet.net[at]gmail.com. 6. Remember to provide us with your name, email address and website url (if you have one) so that we could credit you properly. AT THIS TIME ONLY LINKS TO MUSIC VIDEOS AND VIDEO FILES WILL BE ACCEPTED. SORRY FOR THE INCONVENIENCE. 3. To submit the links to your E/C media, send it to strangeduet.net[at]gmail.com. 4. Remember to provide us with your name, email address and website url (if you have one) so that we could credit you properly. 4. To submit an essay, attach it to the email to strangeduet.net[at]gmail.com. 5. Remember to provide us with your name, email address and website url (if you have one) so that we could credit you properly. Songs for E/C soundtrack, etc., read the rules on the applicable pages and email to strangeduet.net[at]gmail.com.